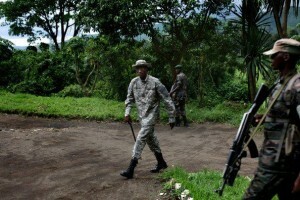 Goma’s residents fear the rebels of the M23 movement. They are reported having seized several strategically important towns in the North Kivu region and the UN mission MONUC is expecting them to attack Goma soon. The rebel group, a few hundred fighters strong is led by Bosco Ntaganda and is the symbol for the fragmentation of the Congolese army. Originally, the leader of the M23 movement fought on the side of Rwanda’s president Paul Kagame in the Rwandan Patriotic Front (RPF) to end the genocide in Rwanda in 1994. After the end of the Congo war, he joined the National Congress for the Defence of the People (CNDP) which was under the leadership of Laurent Nkunda. After Nkunda was arrested by joint forces of the Rwandan and Congolese army in January 2009, Ntaganda took over the command of the CNDP. But on March 23 in 2009, the new CNDP chief Desire Kamanzi and the International and Regional Cooperation Minister Raymond Tshibanda signed an agreement in Goma according to which the former rebel group CNDP was transformed into a political party and the soldiers were integrated into the national army, the Armed Forces of the Democratic Republic of the Congo (FARDC). Besides that Ntaganda was put into the rank of a general although there is an arrest warrant of the International Criminal Court for him. After rebel leader Thomas Lubanga had been convicted by the ICC earlier this year, the Kabila government in the DRC had been increasingly under pressure. In April, Kabila officially stated that he wanted Bosco Ntaganda to be arrested and tried in Goma. Following this announcement by Kabila, hundreds of former CNDP soldiers deserted from the FARDC which lead to the fragmentation of the Congolese army. Ntaganda now leads that group of deserted forces which calls itself March 23 Movement (M23). The name refers to the peace agreement from March 23 in 2009 when the former rebel group CNDP got integrated into the national army. Particularly because Ntaganda is currently wanted by so many parties and another former high rank rebel leader was convicted in The Hague, he spreads fear and terror in North Kivu during these days. 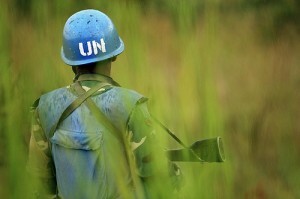 Observers and the United Nation’s mission MONUC now fear that Ntaganda intends to seize Goma, the provincial capital. Goma is not only administrative centre of the region but also headquarter of the world’s largest United Nation peacekeeping mission. 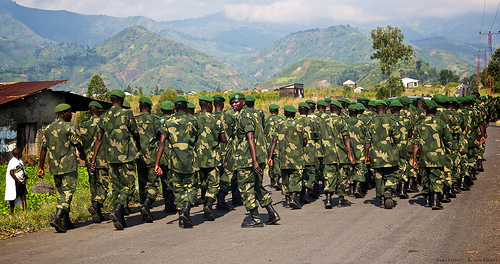 Recently, the blue berets prepared the area around Goma for the attack by the M23 and it remains uncertain how the situation will further develop.